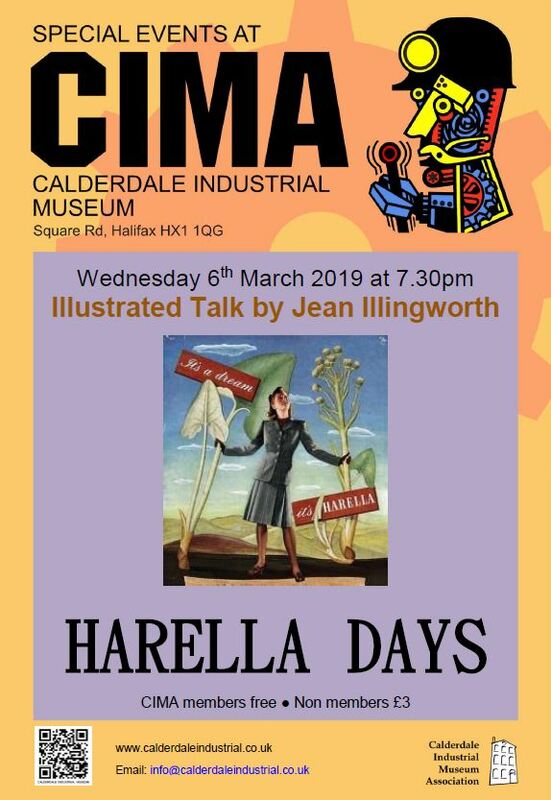 Jean Illingworth will be giving an illustrated talk on Wednesday 6 March, 7:30pm at Calderdale Industrial Museum, Square Road, HX1 1QG about the Harella clothing manufacturer. In her new book, she has penned her memories of life in the Harella clothing factory and many from Huddersfield form part of it. Based in Croft Myl in Halifax, Harella was one of the biggest fashion names in the UK during the Swinging Sixties. Workers from Huddersfield were bussed to the factory each morning by coach to work as machinists, tailors and pressers in the factory. But for Sowerby author Jean, the factory meant much more, as her new book It’s A Dream It’s Harella provides insight and nostalgia into what she describes her best working days. 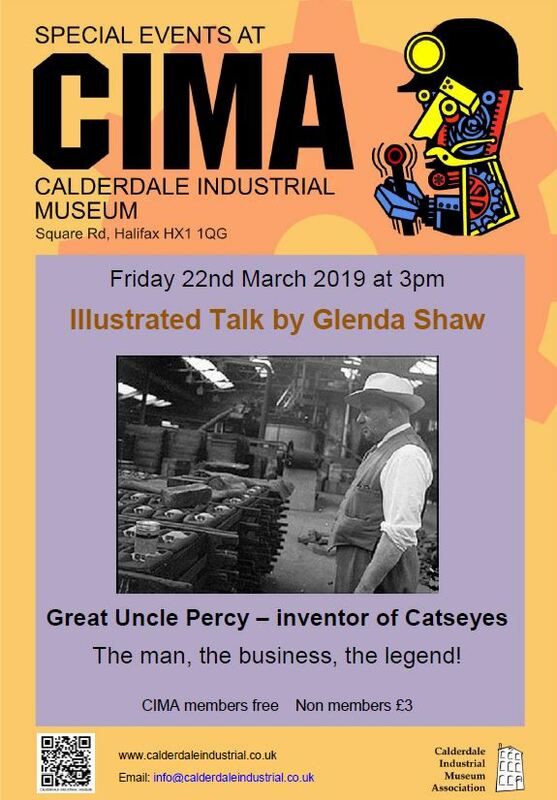 On Friday 22 March, 3:00pm Glenda Shaw will be giving a talk on her Great Uncle Percy Shaw who invented Cat’s Eyes. Shaw was inventive, even at an early age, but his most famous invention was the cat’s eye for lighting the way along roads in the dark. There are several stories about how he came up with the idea. The most famous involves him driving down the difficult road (Queensbury Road, part of the A647 with a very steep drop to one side) from the Old Dolphin public house in Clayton Heights to his home in Halifax, when a cat on a fence along the edge of the road looked at the car, reflected his headlights back to him, allowing him to take corrective action and remain on the road. For both talks, CIMA members can attend for free, it will be £3 for non-members. For more information email info@calderdaleindustrial.co.uk. This entry was posted in Events, Mar and tagged Calderdale Industrial Museum.